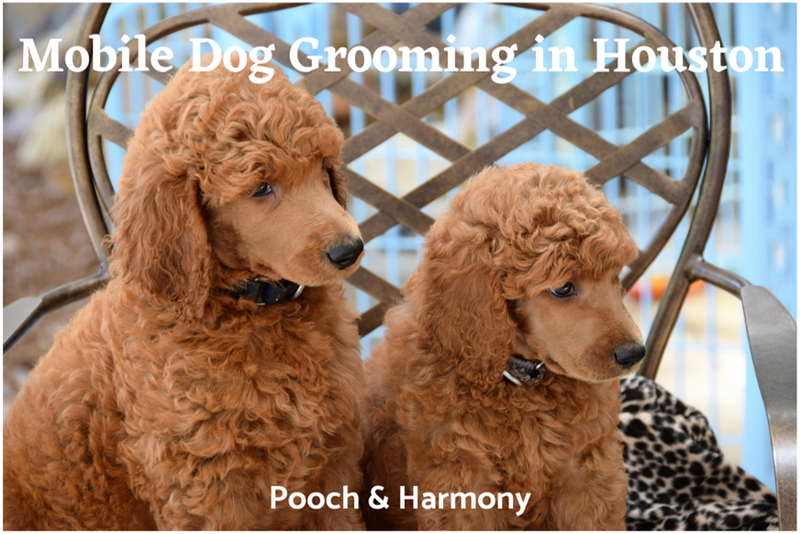 Are you looking for mobile dog grooming in Houston, Texas? Continue reading to learn about 6 top providers. This mobile grooming salon will put an end to all the bad grooming experiences you and your dog have had in the past. The owner and lead groomer Darby has been in this industry for over a decade, not only changing pets’ lives on the outside, but also helping them out mentally with rehabilitation. If your pet is especially anxious around strangers, Darby will be able to offer a tailored grooming session to them that will calm them right down. All of the services are performed in a stress-free, relaxing manner. Hot Shot groomers will appear on your doorstep and have your fur baby looking glamorous in only a couple of hours, if not sooner! At the moment, Hot Shot offers bathing packages, shedding treatments for particularly fluffy dogs, as well as head to tail grooming with all the brushing, cleaning and even a massage! For price reference, a basic grooming bundle costs $95 for a smaller dog – as you can see here, it’s still got everything your pooch will need! Contact Hot Shot today for more information about their services and booking an appointment. Treating your pet as their own fur baby is of utmost importance at Perfect Pet Cuts – all of the groomers and stylists spend their days surrounded by dogs and cats, both at home and at work, and they love them all equally! Apart from the loving care and attention, you can expect your pet to be treated in a professional manner, with years of training and qualification from the staff. Services currently offered are all-inclusive, from a lovely smelling bath and conditioning, through haircut and treatments, finishing things off with a cute accessory to emphasise the brand new look – you can choose either a bow or a bandanna. Prices depend on the breed and fur type, so it’s probably best to call and find out! You can find all the necessary contact details here. Is your pooch in desperate need of a trim, bath or full groom this week? Heather’s team to the rescue! Operating in North West Houston and all the surrounding areas, Heather’s Mobile Pet Salon can be at your driveway as soon as the next day after you schedule and appointment, and the loving, thorough team of bathers and groomer will do their best to give your pet back to you looking fabulous in no time at all. Heather’s offers plenty of tailored services you can choose from, depending on your dog’s needs. Shedding less, smelling nicely, getting rid of tear stains or refreshing a manicure – the list goes on, and there’s no limit to what your pet’s spa afternoon will include. Remember to tend to your dog’s toilet needs before your appointment, as it will definitely make it all go faster and smoother! To find out more about pricing and when you can schedule a session for (especially if you’re a new customer), fill out the appointment request form with all the necessary details about your dog. Heather’s will get back to you as soon as possible! Haute Pets is determined to give your dog the most relaxing pamper time, and you don’t even have to leave the house to make that happen! Grooming is extremely important, and you ought to make it a regular event for your pet’s overall well-being. These guys (an all-lady team!) are qualified, professional, friendly and gentle. The Signature Haute Spa Treatment for dogs starts at $75 (depending on the size) and is an absolute dream, starting with a massage and finishing with a spritz of body spray and an accessory. Along the way, there are obviously plenty of other elements and treatments, which you can find out about here. All of the products used during grooming at 100% organic, so they are very unlikely to aggravate any allergic reactions, dry skin or rashes. If you’d like to request an appointment for your fur baby, fill out of the form and Haute Pets will get back to you soon. No more traffic, driving around looking for a salon and waiting for the groomers to finish – Blue Bubbles fully-equipped van will come to your and give your pet a lovely spa treatment while you watch TV. Blue Bubbles is a family business, and their family has always been full of adopted furry friends. That alone proves they are beyond loving and devoted to providing dogs with best possible care. The services offered include standard bath package, mani/pedi, dental treatments and hair trimming. You can book them all separately, but why not give your dog a full-on spa day with their deluxe treatment. It costs $85 for smaller dogs, which is a great value for money. You can contact the salon via phone or email, or simply book the appointment online. You’re guaranteed a response within 24 hours! Your dog is about to become the luckiest in the world, if you’ve decided to go with Lucky Dog Mobile Spa. You can both count on plenty of expertise, a calming atmosphere with lots of personal attention and strictly no cages. The owner Keith is dedicated to his business and therefore gives every single pet as much love and care as they get at home. You can choose from two main packages – basic (from $55) and deluxe (from $5). The basic doesn’t include a haircut, but offers all of the other treatments, from bathing to nail clipping and sanitary trim. With only $10 difference your dog can be treated to a fresh haircut and styling, so why not go for that? Lucky Dog’s service area includes central Houston and the surrounding areas (The Heights, River Oaks, Bellaire, Memorial and Hedwig village). For a speedy reply, text or call Keith directly at 713-297-1890. You may want to familiarise yourself with the company’s policies before you book your first mobile grooming appointment! Are there any other providers of mobile dog grooming in Houston that need to be on this list? Please tell us about them in the comments box below!